Shizen (naturalness): Strike a balance between being “of nature” yet distinct from it. Without pretense or artifice. Intentional rather than accidental or haphazard. Zen lesson: Incorporate naturally occurring patterns and rhythms into your design. Emphasizes restraint, exclusion, and omission. Appears spare and imparts a sense of focus and clarity. Inevitable that the artist’s personality and character will come across in its appearance. Every element will provide the audience with an insight. Eliminate the unnecessary in the design. Zen lesson: Refrain from adding what is not absolutely necessary in the first place. The Zen view: Evoke the power of suggestion; leave something to the imagination of your viewer. Experience the creation with feelings of mystery, spirituality, historical reflection. Zen meditation discards unnecessary baggage and focuses on empty space in which to grow. Zen lesson: Limit information just enough to pique curiosity and leave something to the imagination. Beauty and utility need not be overstated, overly decorative, or fanciful. Simple. Less. Eliminate the unimportant. Focus on what matters within the space. Zen: profound knowledge and thought is best expressed with simple terms. Zen lesson: Eliminate what doesn’t matter to make more room for what does. Emphasizes the fundamental Zen theme of emptiness, which implies an inexhaustible spirit. It is in states of active calm, tranquility, solitude, and quietude that we find the very essence of creative energy. Silent pauses in music, as well as motionlessness in dance and theater, illustrate the power of seijaku. Invoke feelings of peace and quiet, even in the middle of busy cities or hectic settings. Zen lesson: Doing something isn’t always better than doing nothing. Closely related to seijaku — datsuzoku signifies a break from daily routine or habit, freedom from the commonplace. It involves a feeling of transcending the ordinary and conventional. Pleasant surprise. Unexpected amazement. Reprieve from convention. When we break a well-worn pattern creativity and resourcefulness emerge. Re-energize your creativity by taking regular “timeouts”, then you will be able to find a creative resolution. Zen lesson: An interruptive “break” is an important part of any breakthrough design. Convey the asymmetry of the natural world through clearly asymmetrical and incomplete renderings. Nature is not in perfect symmetry, yet the impact can be spectacular. Let go of rigidity and embrace the beauty of being perfectly imperfect. Allow viewers to participate in the creation process to move towards something truly innovative and unique. Asymmetry provides the power of rhythm, motion, and space for new growth. 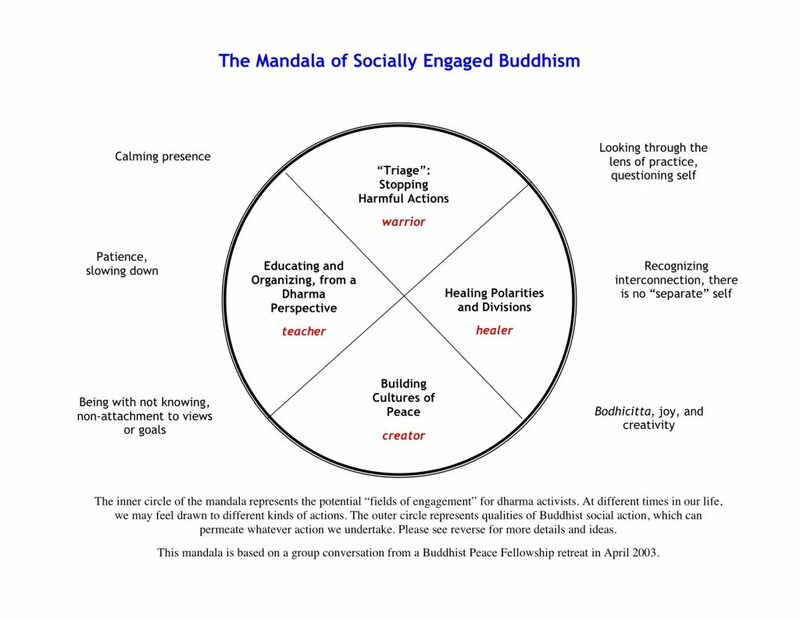 Zen lesson: Leave room for others to co-create with you; provide a platform for open innovation. A rich noble once commissioned a famous artist to paint him a picture of a crane. The artist agreed, though he set a rather steep price, even for one as rich as the noble. The artist asked his patron to return in a month. After a month, the noble returned to the house of the artist. The artist told the noble that he required yet more money; and another two months. After a another two months the noble returned the second time. and dipped it into his freshly ground ink. 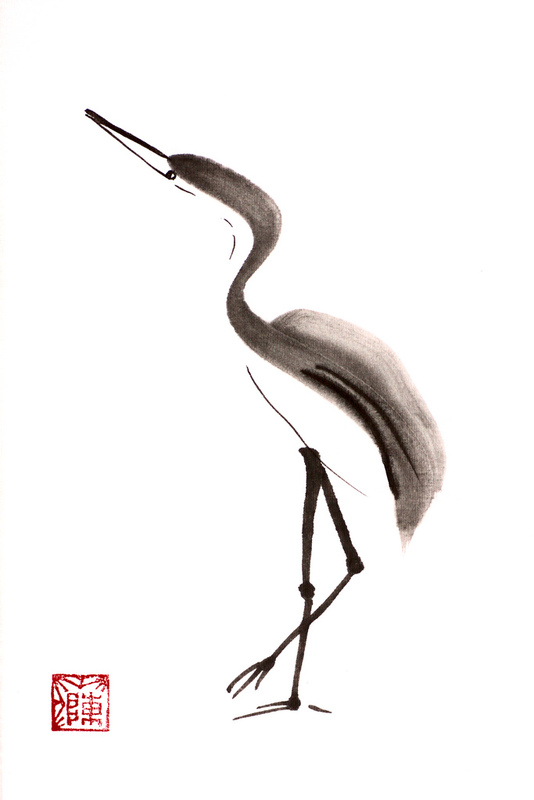 completed his undeniably most beautiful painting of a crane. Its pose so lifelike, the brushstrokes so delicate! The noble, rather than pleased, expressed anger and frustration. perhaps thousands of less masterfully drawn cranes. Mastery comes only with endless, focused practice. and we ourselves are much more than we usually perceive. I read your map and can appreciate all the effort you put into forming it for clarifying your life. I perceive this map was created through a very involved intellectual process that directs your path…it has much to do with the thinking mind. I understand that this is your way to your truth and I don’t disagree with any of it but I’m not attracted to it. However, my goal is to live in embodied, “empty presence”, anchored in my viscera, yet connected to my INTUITIVE heart wisdom with my thinking mind subdued. I’ve been not wanting intellectual encounters much anymore. I submit to guidance from my heart wisdom, as often as I can, My Higher Self informs me of my next steps, even when choosing to reach for an item on a grocery shelf, I pause and wait for the “OK” from my Higher Self. Higher Self is anchored behind our physical heart. That’s the place where those messages to me come from. From Deepak Chopra: ” Our Higher Self is the most intimate thing we could possibly know; eternity is the most comfortable home we could possibly find.” As Einstein said, “Action arising from our intuitive heart wisdom, which is everyone’s direct link with the Source of all life, is going to suggest the most correct and creative path to walk in answer to your situation and the world.” Sometimes when I don’t feel safe, I leave my body…and am scattered and not anchored….that’s when I’ve lost connection to Higher Self and appear to be in my head…..I’m actually not in my body.